DISCLAIMER: HAWAIIHOMEBOYS.COM IS NOT THE OFFICIAL WEBSITE FOR THE CENTRAL ALA MOANA CONDO PROJECT. THE PROPOSED PROJECT IS BEING DEVELOPED BY SAMKOO HAWAII LLC. ALL INFORMATION IS SUBJECT IS TO CHANGE. 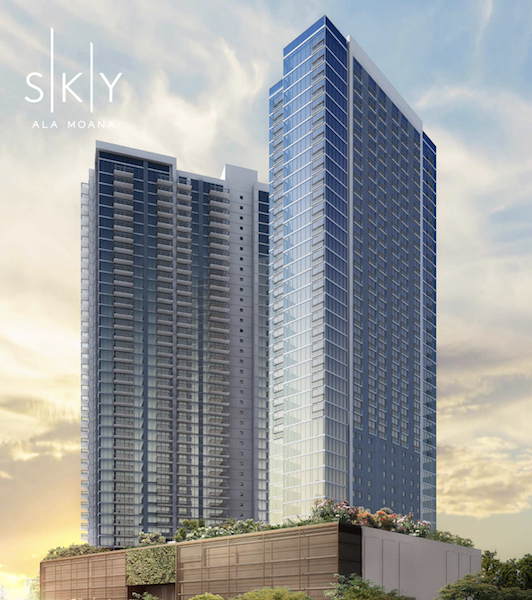 The Central Ala Moana is the second tower from Korean developer, Samkoo Pacific. 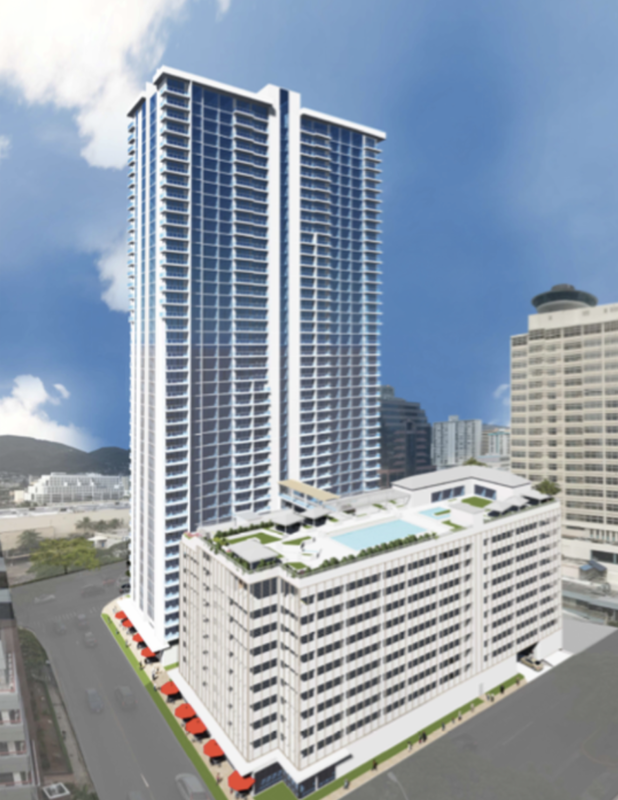 The first tower, Kapiolani Residence, was an immensely popular project located at 1631 Kapiolani Boulevard that sold out in 2 months. 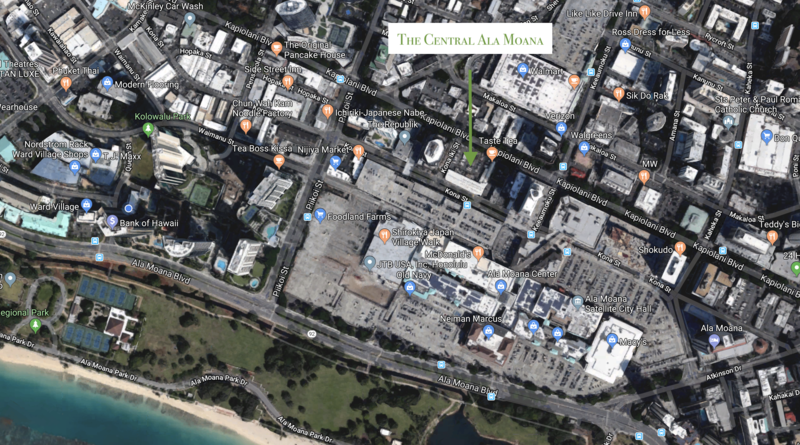 The Central Ala Moana will be somewhat of an upgrade over the developer's first project with a much better location adjacent to the future Ala Moana Transit station. The project will be built on a 1.43 acre lot that was formerly home to Motor Supply Co, and purchased by SamKoo Pacific in 2007 for $26 million. **The Affordable Housing Seminars are currently SOLD OUT. Don't be alarmed -- simply register on the INTEREST LIST at the bottom of the page to be notified if/when new seminar dates are announced, to schedule a tour of the SALES GALLERY, or to receive an application for the project. Applications won't be due until after the new year so there's plenty of time to see the sales gallery and submit your application for the project. subject to change at any time. See full disclosure located on bottom of page. The affordable housing seminars are purposed towards educating the public on the inner workings of the affordable housing program. Whether you're interested in this project, or FUTURE affordable housing projects, I strongly suggest that you attend. 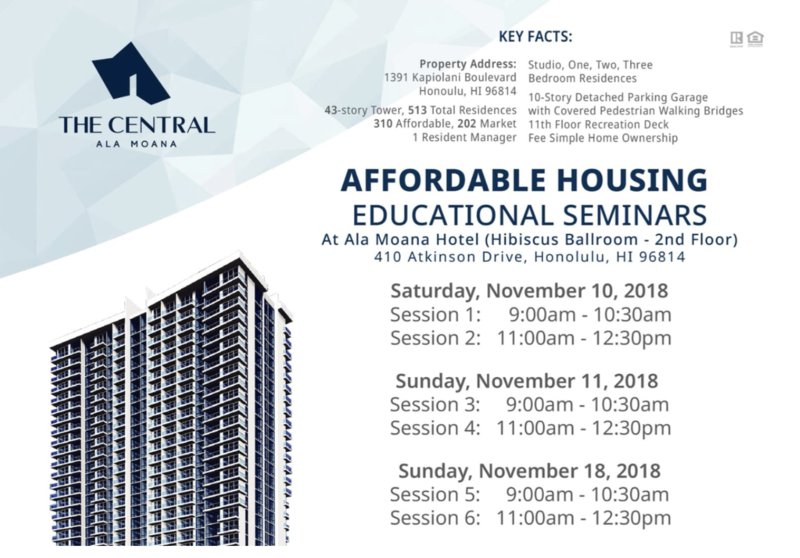 Applications for the Central Ala Moana project will be available for pick-up at the seminars however, attendance is not mandatory in order to receive an application. If you won't be attending a seminar but would still like an application, please let us know. 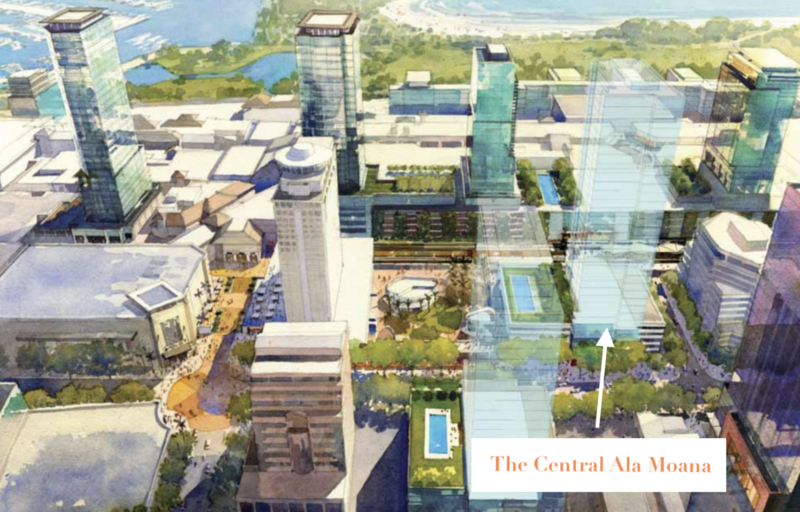 If you haven't joined The Central Ala Moana INTEREST LIST, please do so below to receive the most real-time updates on the project. You an also follow us on Instagram or Facebook @hawaiihomeboys. 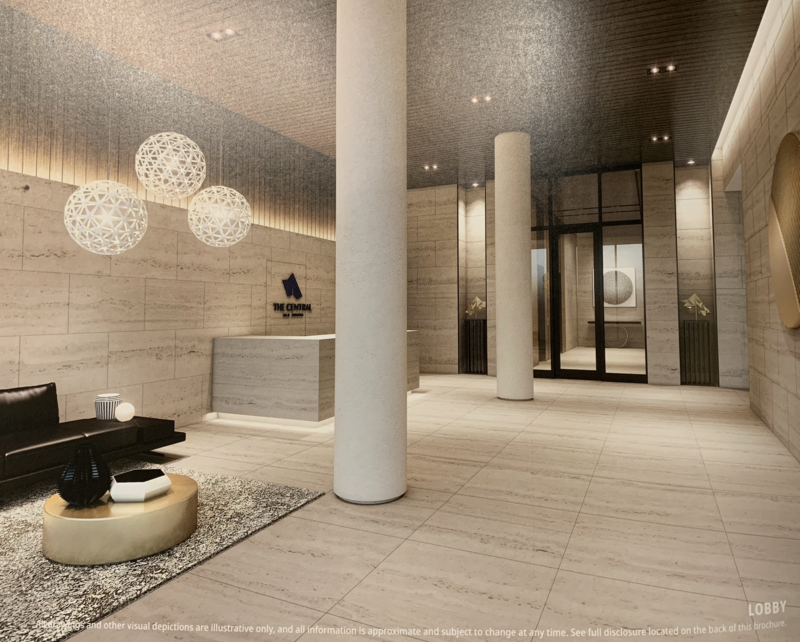 If you consider that The Central Ala Moana will be constructed directly behind Ala Moana Center, it doesn't take much imagination to get an idea of what kind of views to expect. 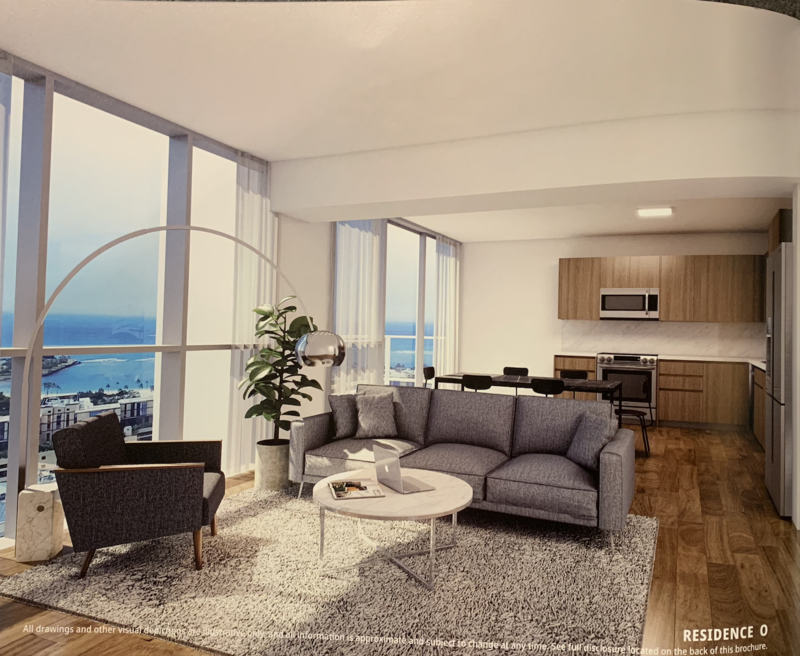 Barring an unforeseen high-rise popping up directly in front of The Central, you should expect exceptional, direct ocean views from units with oceanside orientation. It should be no mystery what neighborhood The Central Ala Moana calls "home." As reflected in it's name, owners will be pleased to enjoy the convenience of the Ala Moana community; thriving with the nearby restaurants, entertainment, and world class shopping at Ala Moana Shopping Center that's literally right across the street. 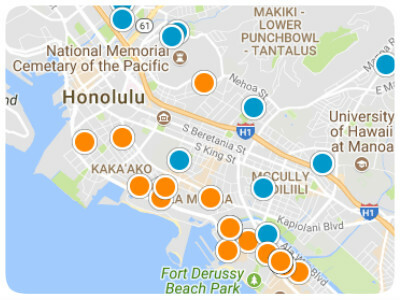 Further retail and dining is merely a stroll away to Ward Village in Kakaako; recently named Best Master Planned Community in the U.S. 2017. Let us not forget the famed Ala Moana beach park offering acres of public, outdoor and ocean amenities. Kapiolani Boulevard serves as one of the neighborhood's anchors, operating as one of the city's main thoroughfares for commuters in and out of Honolulu's business districts. 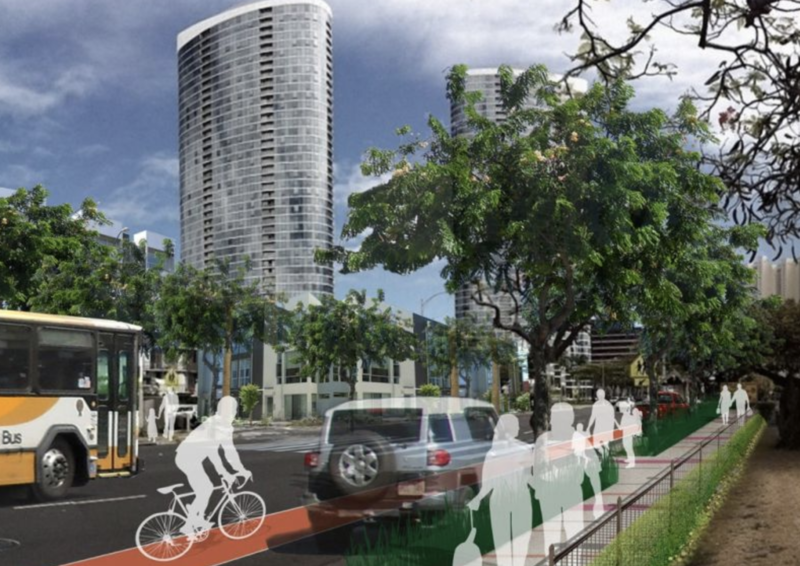 The vision laid out by Honolulu's Transit Oriented Development suggests that we're seeing the Ala Moana neighborhood in its infancy, and that we will eventually see it become Honolulu's most livable urban community as new walking, biking, and transit usage takes shape. Adjacent to the Ala Moana neighborhood is the newly coined Midtown Ala Moana neighborhood which is seeing it's own transformation as it follows the footsteps of Kakaako, it's slight older sister community. APPLICATIONS: Available for pickup or upon request. Deadline Early 2019. Please Note that you do not pay for our services, they're FREE. We are compensated by the Developer, Samkoo Hawai LLC, at the closing of the project. 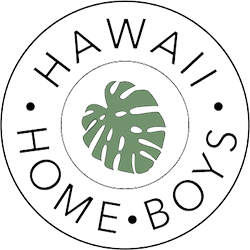 On behalf of Hawaiihomeboys.com, we would be honored to be chosen as your buyer representatives to help you through the sales process. Once again, we do NOT work for the Developer. With Buyers Agent representation, you're assured sound interpretation of any and all information provided by the The Central Ala Moana sales team who handle thousands of inquiries and applications from prospective buyers and agents alike. New construction purchases can be an overwhelming process, we aim to bring clarity by walking you through it every step of the way. In addition, my partner and I have collectively helped over 20 reserved/affordable housing buyers contract and purchases in the last 2-3 projects. 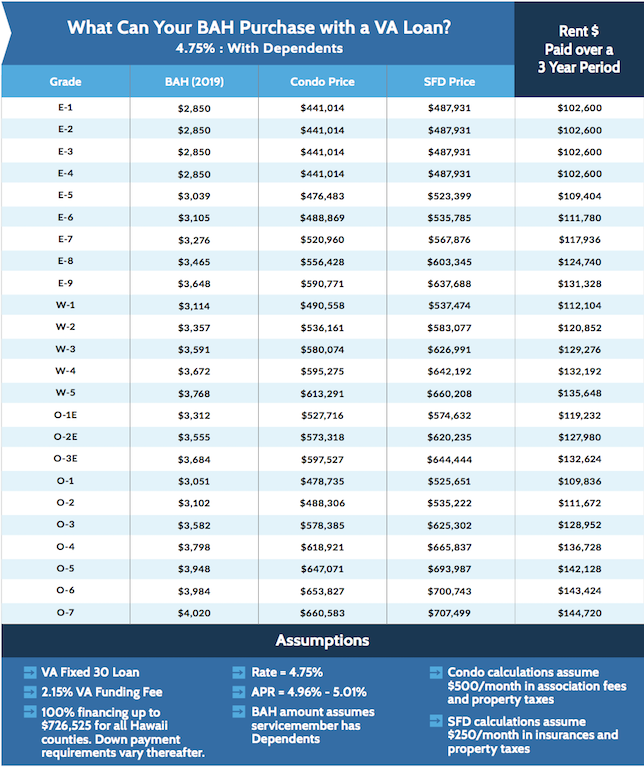 We're confident we'll bring a great deal of value and insight to your new construction purchase.